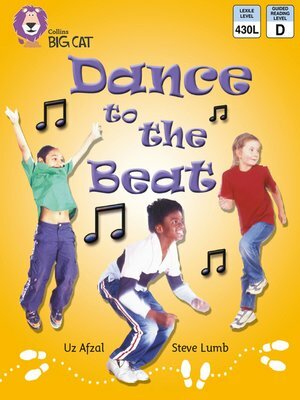 A bright, action-packed non-fiction book that explains how to dance. The step-by-step instructions include sequential words at the start of each sentence: First, Next, Then, Now and Stop. Photographs of children dancing support and clearly demonstrate the actions referred to in the text. â?¢Yellow/ Band 3 books offer varied sentence structure and natural language. â?¢ Text tye - An instruction text. â?¢The summary on pages 14 and 15 allows children to discuss and recap the instructions. â?¢Curriculum links - Music: feel the pulse, exploring rhythm; PE: dance activities. Uz Afzal is a literacy coordinator at a primary school in London.